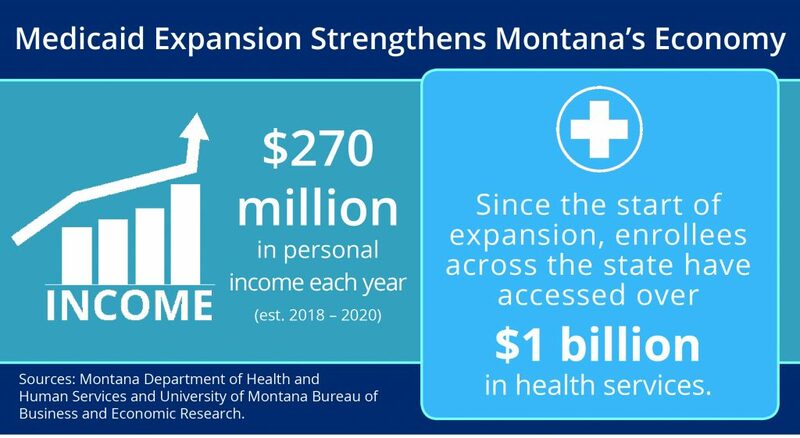 Since the legislature passed the bipartisan Health and Economic Livelihood Partnership (HELP) Act of 2015, Montana’s economy has benefited substantially from Medicaid expansion. Over 96,000 Montanans have gained health care coverage through Medicaid, most of whom would have been uninsured without it. Families with incomes below 138 percent of the federal poverty line (FPL) are eligible for coverage (for a single individual, income below $16,750). In the first two years, the HELP Act paid for more than $1 billion in health care services, with over 90 percent of the cost covered by the federal government. Medicaid expansion has brought new federal funding into Montana, boosting Montana’s economy through increased spending by hospitals, providers, employers, the state, and individuals on health care services. Between 2016 and 2020, Medicaid expansion is expected to generate $1.2 billion in personal income and $2.6 billion in output or new sales, according to a 2018 report by the University of Montana Bureau of Business and Economic Research. This increase in health care spending also leads to new jobs. In 2018, Medicaid expansion is expected to add 5,326 jobs in Montana, primarily in the health care sector. 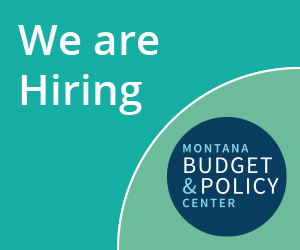 After Medicaid expansion passed, Montana saw an increase in workforce participation among low-income Montanans. Labor force participation among nondisabled Montanans with incomes eligible for Medicaid expansion rose from 58 percent before expansion to 64 percent after, a full six percentage point increase. This compares to a 2.5 percentage point drop in the same group during the same period nationwide. As of September 2018, 33,172 Montanans within the northwest region have enrolled in Medicaid expansion. Medicaid expansion has been beneficial to the northwest region of Montana by creating jobs and boosting income and economic growth. 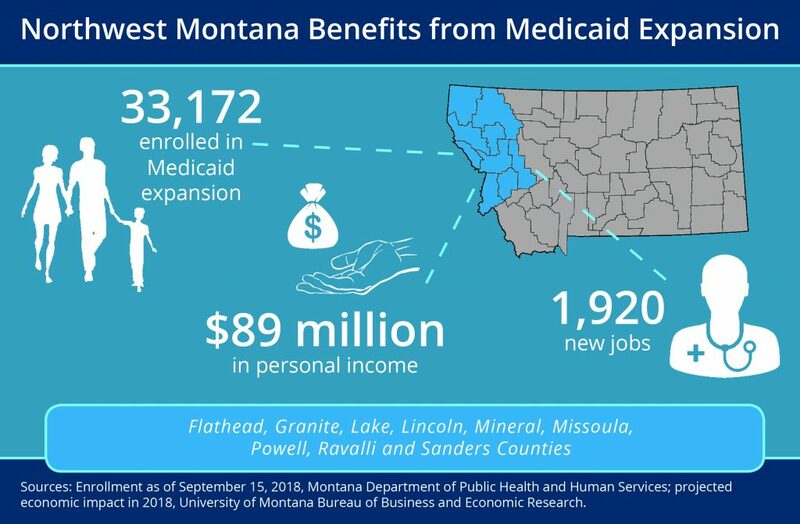 In 2018, Medicaid expansion is expected to bring in 1,920 new jobs, $89 million in personal income, and $202 million in new sales and output to the northwest region of Montana. Since the beginning of the program, Medicaid expansion has generated an estimated $403 million in personal income and $902 million in new sales and output in the area. Since the start of expansion, enrollees across the state have accessed more than $1 billion in health services. Links to all of the regional reports can be found here.